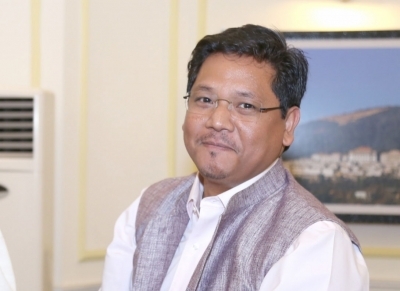 Shillong, April 16 (IANS) Meghalaya Chief Minister Conrad Sangma on Tuesday said the state government will appeal to the Supreme Court to call off the rescue operation to evacuate bodies of 13 coal miners trapped inside an illegal 370-ft coal pit for 125 days now. Of the 15 people trapped, Indian Navy divers have retrieved two bodies so far, while three more bodies have been detected by the Navy's Underwater Remote Operated Vehicle. "We are still trying, but it looks very difficult, and we will approach and see if Supreme Court allows us to discontinue with the operations. But right now, since the matter is in court, it won't be right for me to make any comments," Sangma told journalists. However, the Chief Minister said the government will appeal to Supreme Court to call off the rescue operation. The labourers got trapped when they broke a wall of a mine and water gushed inside. The tragedy came to light after five coal miners escaped from the coal pit. The disaster took place despite an interim ban on rat-hole coal mining in Meghalaya by the National Green Tribunal since April 17, 2014.